Welcome back. My wife Vicki announced that she’s thinking about getting a Shetland pony. Fine by me. A horse, however small, wouldn’t be sharing our apartment. And unlike every pet we’ve had, I wouldn’t be taking care of it. I am not a horse person. It’s not that I dislike horses; I just don’t know them. I’ve only ridden one a few times in my life, and the last time was over 30 years ago--a 10 minute trot in northwestern China. Vicki grew up with horses and even taught riding at some point. Like many or most people who have been close to horses, she can usually tell from a horse’s actions and facial expressions if the horse is happy, sad, tired, hurting or the like. 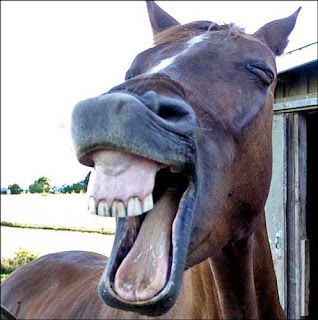 I don’t know if all horses exhibit the same expressions or if Vicki and the other horse readers would concur on their interpretations of those expressions, but at least now there’s a systematic way to describe a horse’s facial expressions: the Equine Facial Action Coding System (EquiFACS). Developed by collaborators from the Universities of Sussex and Portsmouth in the UK and Duquesne University in Pittsburgh, EquiFACS is a methodology that documents all possible horse facial movements and allows recording of all potential facial configurations. To be clear, EquiFACS does not lay out if the horse does this, here’s what it means. It’s much more fundamental in providing an objective description of facial expressions across a range of contexts that reflect different emotional states. EquiFACS is based on the Facial Action Coding System (FACS) developed for humans in 1978, updated in 2002 and later adapted for a number of different primates and domestic animals, including chimpanzees, orangutans, dogs and cats. EquiFACS is the first system for an animal with laterally placed eyes and an elongated face. Like all other Facial Action Coding Systems, EquiFACS uses Action Units to represent the contraction of a specific facial muscle or set of muscles and the resulting facial movements. Action Descriptors are used for more general facial movements where the muscular basis cannot be identified or results from a different muscle set. 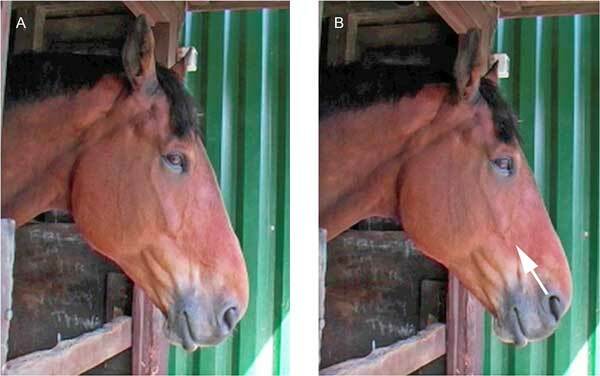 To develop EquiFACS, the researchers augmented the literature on horse facial anatomy with their own dissection of one horse head using an innovative face mask technique, which allowed a more complete view of muscles and attachments than traditional dissection approaches. They also collected and analyzed 15 hours of video of 86 horses, ages 4 weeks to 27 years--different breeds, coat colors and genders--in a variety of situations, including feeding, mating and interacting with humans and other animals. Each discrete facial movement they identified was described in detail and given an Action Unit code (e.g., Inner Brow Raiser, Eye Closure, Blink and Half Blink and Upper Lid Raiser) or Action Descriptor code (e.g., Ears Forward, Ear Adductor, Ear Flattener, and Ear Rotator). To ensure that other observers could learn and reliably code with EquiFAC, the methodology was successfully tested with four people; three had no experience with any FACS and one had no experience with horses. 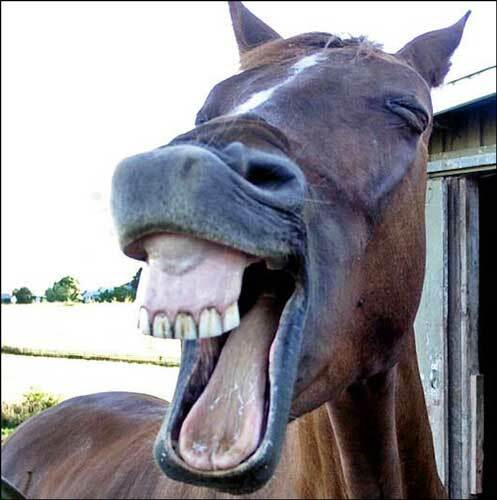 The researchers found horse facial muscles to be very complex yet similar in a surprising number of ways to those of humans. Horses were observed to have 17 defined Action Units while humans display 27. Overall, EquiFACS should be useful in informing current veterinary and animal welfare practices. Being an objective, anatomically based system, it will also be applicable in cross-species comparisons and should thus enhance our understanding of the meaning, function and evolution of communicative behavior. If Vicki follows through on a Shetland, I might try to use it. She said she might opt for a barn cat. Oh, wouldn’t be nice? Thanks for stopping by.